Here's a girl you can bring home to mom, and the girlfriend; without hail and hellfire raining down on your head. 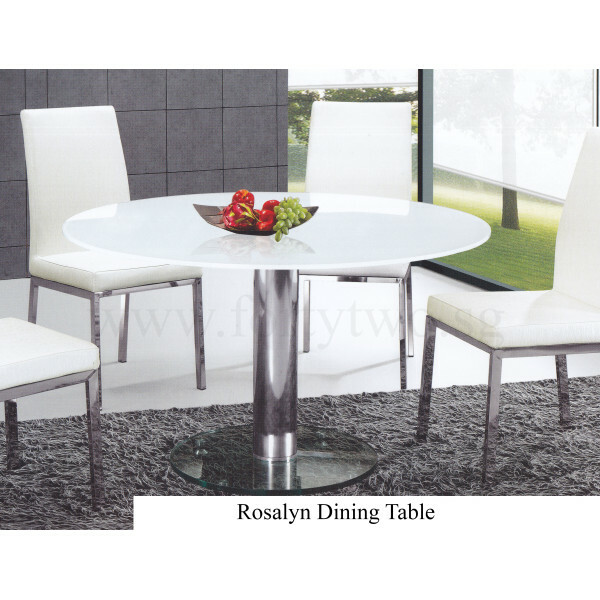 With an opaque tempered glass table top, watch the Rosalyn Dining Table's white blend perfectly with its single chromed metal table leg stand- sturdy and chic. A tempered glass table stand forms the base of this amazing piece, tying up the varying colours and materials with effortless finesse. 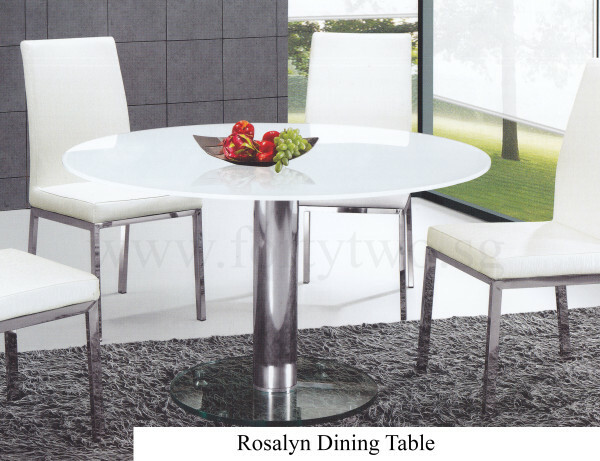 Enjoy your dinners in style, hook your arm around a Rosalyn Coffee Table today. Does it sell the tables only & how much..? This item is in fact just the table only, without any chairs, just like the name suggests. Thank you!